Helping homeless families get back into housing depends on their ability to pay rent, their capacity to navigate the rental market, and the availability of affordable housing in their community. But there isn’t enough affordable housing anywhere in the country to meet the need. And most very low–income families will need help paying rent. 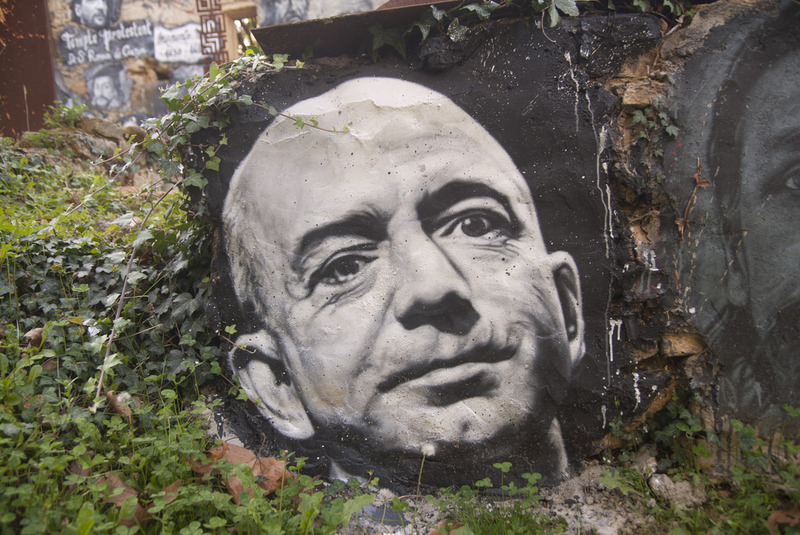 Here are four ways Bezos’s investment would have the biggest impact on addressing homelessness. 1. Target resources to places with the most need. Identifying locations across the country with the highest rates of homeless children would ensure resources are going to the places that need it most. Nearly 30 percent of homeless children reside in New York City. Other cities like Boston, Los Angeles, Seattle, and Washington, DC, have consistently high shares of homeless families, and targeting money to those areas could have a big impact on reducing their homelessness rates. Smaller cities and counties, including several counties in California, Florida, and Oregon have high rates of unsheltered homeless families. And in many rural places—including communities across Colorado, North Dakota, Oklahoma, Oregon, and Wyoming—rates of unsheltered homelessness are high among families. But unsheltered homelessness among families isn’t limited to rural areas. Many West Coast areas, including Long Beach, Los Angeles, Portland, San Diego, and San Jose all have high rates of unsheltered family homelessness and deserve focus. Investments should go toward what evidence shows are the best approaches to addressing homelessness: short- and long-term housing assistance. The US Department of Housing and Urban Development’s (HUD’s) Family Options Study found that, compared with the services typically offered to homeless families, like emergency shelter, long-term vouchers that help families pay rent were more effective and only modestly more expensive. More than any other intervention, vouchers helped families find stable, long-term housing and improve their lives in other ways. Despite the proven success of long-term vouchers in helping homeless families stay stably housed, HUD’s Housing Choice Voucher Program is underfunded and can’t keep up with demand. Only one in five low-income renter households who needs federal rental assistance receives it, and wait times for housing vouchers can last decades. Expanding the availability of vouchers and piloting voucher programs targeted to young children could help families find housing and improve their lives. But even with more vouchers, families will continue to become homeless until there’s enough affordable housing. Rapid re-housing, a crisis intervention that offers one-time or short-term rental assistance, doesn’t solve for long-term housing stability, but it helps families exit homelessness more quickly and avoid costly stays in emergency shelter or transitional housing. Children who experience homelessness at a young age are at a greater risk for negative health and developmental outcomes. And the timing and duration of homelessness matters, suggesting rapid re-housing for families is an important part of crisis response that should be coupled with investments in affordable housing. 3. Test strategies to prevent homelessness. Preventing child homelessness is also about helping people stay in their housing. Even if we housed all 150,000 families who enter shelters over the course of a year, many more would still be precariously housed—doubled up, paying too much for rent, or moving from place to place—and would be at risk of later experiencing homelessness. To end homelessness among children, we need to prevent it from happening in the first place. We know little about homelessness and eviction prevention. Funding should help launch pilots that test interventions, including emergency resources, to prevent homelessness and eviction. One place to start is understanding how to target cash assistance for families at risk. 4. Make sure everyone else, especially the government, is adding to the pot. Although $2 billion is a lot of money, it isn’t enough to end family homelessness. That will take collective action among all levels of government, philanthropy, and service providers working toward—and funding—a common goal. We saw a similar successful effort with veteran homelessness. Stakeholders across sectors, including mayors and CEOs, focused on housing first and targeted their resources in the same direction. And Congress made huge investments in rapid re-housing, housing vouchers, and supportive housing. As a result, veteran homelessness fell 47 percent between 2010 and 2016. That kind of progress doesn’t have to be the exception. A similar blueprint can be replicated for families and children experiencing homelessness. To change the inertia at the federal, state, and local levels, Bezos will need to invest in advocacy for more affordable housing and for policies that help low-income people find and stay in their homes. The federal government provides funding for housing assistance and the voucher program, both of which need more investment. And state and local governments hold the levers to affordable housing production and preservation through local land-use and zoning policies as well as tenant protections and antidisplacement strategies. Adopting local policies that are affordable housing friendly can stretch subsidy dollars by lowering rents overall and can help bypass “not-in-my-backyard” issues that are major roadblocks to evidence-based solutions like supportive housing. Helping low-income families secure stable housing and send their kids to high-quality preschool programs (the other focus of the Bezos Day One Fund) is critical to improving their lives. A second phase of funding could ensure families also have access to high-quality K–12 schools by helping them move to neighborhoods rich in opportunity, which have major effects on a child’s future success. But it all starts with making sure families have stable housing. Bezos’s $2 billion could go a long way in accomplishing that essential first step. This article originally appeared on Urban.org.